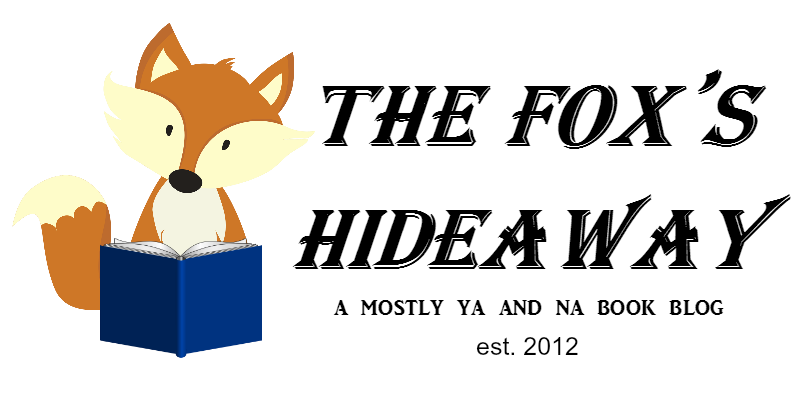 The Fox's Hideaway: Here's to Year 6 of The Fox's Hideaway! Here's to Year 6 of The Fox's Hideaway! So like, awhile back in November, my blog reached 5 years. GUYS. FIVE. YEARS. Like... h o w is this possible? How did my little corner of the internet grow into what it is now? Sure, it's not a big blog. I roughly have around 650 total blog followers. I have contacts with publishers, and I'm on a few blogger lists, but I still get rejected by some of them. I get very few comments, but I know why, yet I have very loyal readers and I know that I CAN do better and work harder to return and reply to comments. (It's always a goal of mine, even though it never happens). So it's not like this space is omg so great, but 5 years is a long damn time to keep up with a hobby. I'm proud of what I've accomplished, but more, I'm so incredibly grateful for what blogging has given me. I've got the most wonderful friends, some of whom are my best friends and people I talk to daily, no matter how I'm feeling or what happens in my life. I've also learned so much about writing and publishing that I can be hopeful yet realistic about what I want as an author. My writing itself has gotten a hell of a lot better, and my goal is to be as inclusive as possible with my stories. There is so much good that has come out of this, and though my feelings have changed a little, I won't be going anywhere. I think I've come to just sort of accept that my blog is staying where it's at, and I'm okay with that? Like, there are only a few goals I even have anymore, things that would be AMAZING if I got the opportunity. But as I'm slowly working toward becoming a published author, I've become less inclined to push this blog to be bigger than it is. I'm quite content where I'm at. Sometimes, I still feel that pang of jealous or insecurity, the lack of confidence when a post I really loved gets no love itself. But ultimately, I like not feeling the pressure or stress to do more, to be more. It's super nice to just do what I want! *be asked to blurb a book - would seriously be the most wonderful thing ever! Do You Suppose She's a Wild Beauty?